I was riding back from my lunch break today through Chinatown when an old lady stepped right out in front of me. It was one of those moments where you’re going to hit the person and unfortunately, I did. 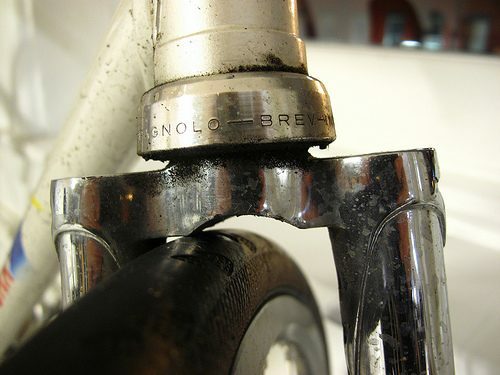 I hit her and my wheel went sideways, flipping me over my bars and onto my shoulder. The woman fell down and hit her head. I made sure she was ok, called the police and made sure she was in good hands. Riding in a really dense city with tons of people popping out of cars everywhere is nerve-wracking at times. In all the years I’ve been riding, I’ve never hit a single person or car. I’ve had cars hit me, but in this case. I had the green light, was taking the inside lane and the woman just ran in front of me. Nothing I could do. We’ve all been there before. The cops even had the audacity to say that I saved her life. If I was a car, she would have died. There was a car directly behind me that luckily stopped a few feet behind me! After I banged the wheel, I rode it to Affinity and picked up my Milwaukee; I just got my rear wheel re-laced by Miguel. Heading home, I bunny-hopped a pothole and SNAP. 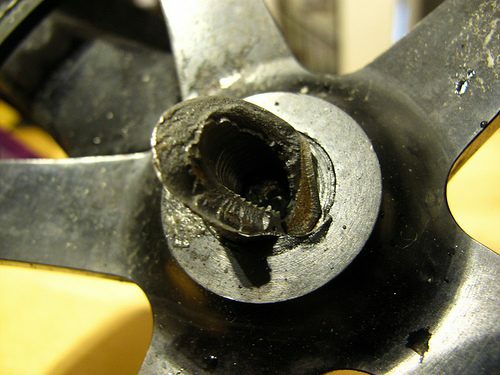 My bottom-bracket spindle snapped. 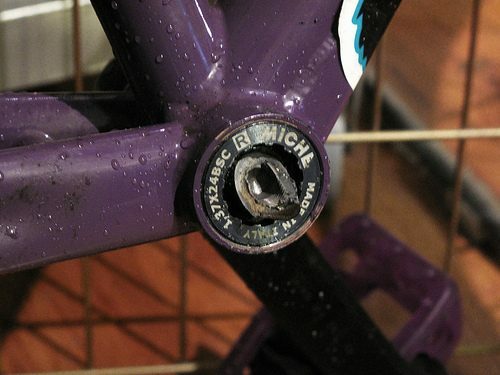 I’ve had Miche products break before, but I’ve never sheared off a bottom bracket spindle. 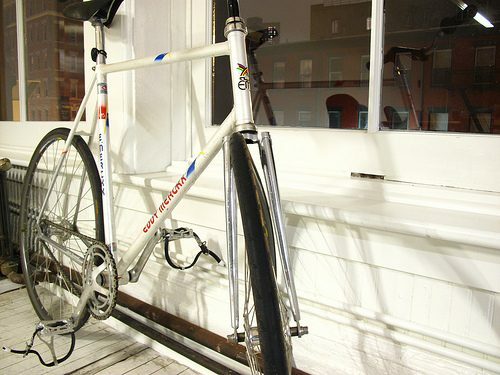 I rode a Campy BB for a year with the Stout, doing grinds and just riding hard in general. Never had a problem. Back to the Campy I guess!